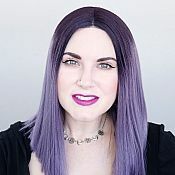 In 2008, I founded Phyrra, a blog that is well-known for honest reviews, pale girl makeup, hooded eye makeup tips, cruelty-free beauty, lifestyle advice, and gothic fashion. I love helping people to be fearlessly beautiful and love themselves. Courtney hasn’t written any reviews yet. Courtney hasn’t received any votes.